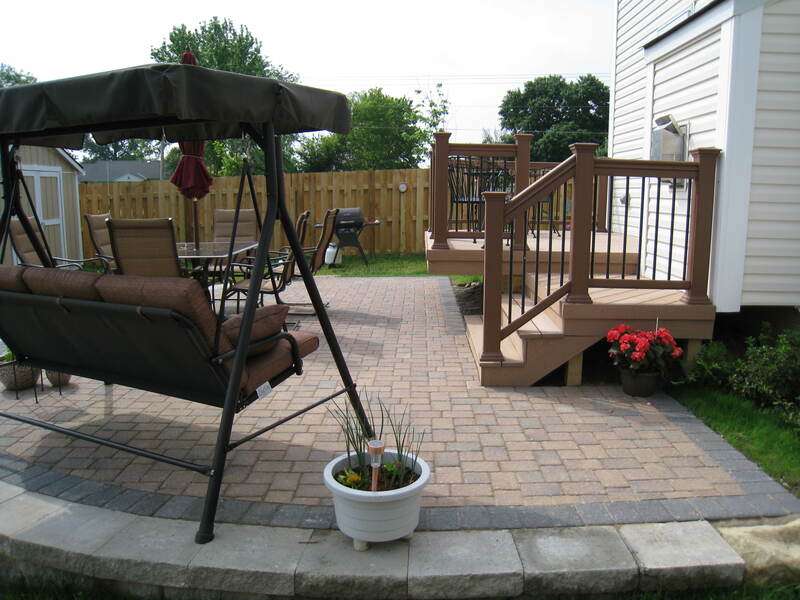 I began my association with Archadeck in 2001 when I was working for a subcontractor that Archadeck of Columbus was employing for patio installations. I had been working in the Landscape/Hardscape industry for quite a few years at the time and immediately noticed a difference in how Archadeck operated in comparison with other deck companies that we worked with. Over the years of working with Archadeck on numerous projects, large and small, I came to realize the importance of what they were selling; beautiful designs, top-notch craftsmanship and a world class customer experience. This is what drove me to start working for Archadeck in January of 2011 and eventually buying the company in 2016. My wife, Amber, and my son, Logan, could not be happier to be a part of such a wonderful organization. We look forward to the future as we build the outdoor living environments our customers dream of with the “world class” service they deserve! 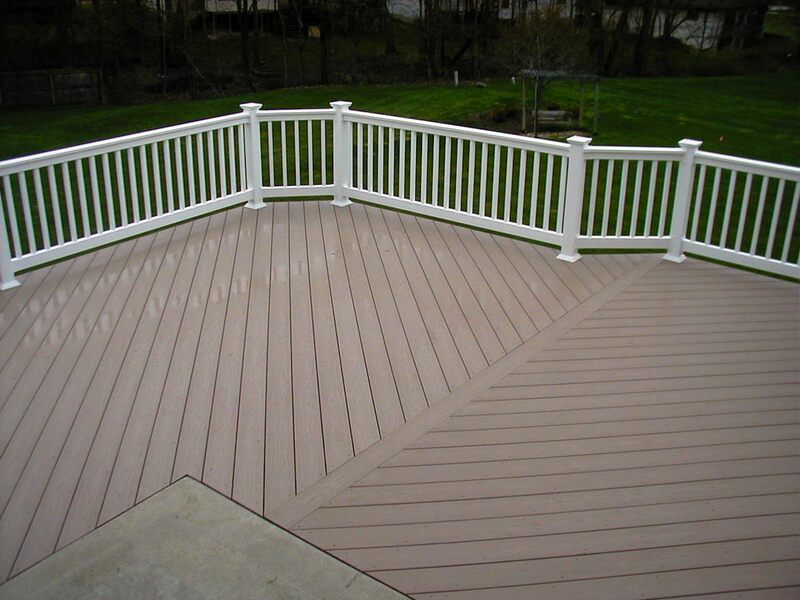 What are the differences between composites and pvc decking and how to keep composites clean? 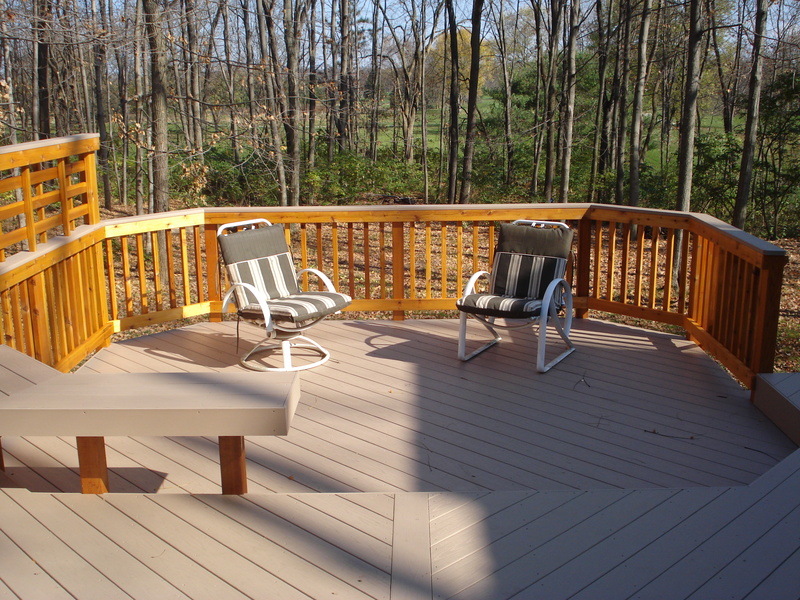 When we began designing and building decks and screen porches, the majority of customers were interested in wood with a small percentage intrigued about composites, or low maintenance decking. In the last 10 years, we have seen exponential growth in the low maintenance decking class in brands, color choices and styles. Over the past 5 years, we have built approximately 70% of our projects in composites or with the newest technological advancement….PVC decking. If you are not familiar with wood/plastic composites or PVC decking options, here are some differences to consider including a couple recommendations on products and cleaning solutions. Composite decking is nothing more than wood flour mixed with plastics and extruded into a “low maintenance” decking board. Please note I did not say “no maintenance”. Most composites contain 50% wood and 50% plastic. Natural products such as wood are affected by the elements. This equates to fading, scratching and contending with dirt, snow, rain, etc. which necessitates some cleaning. This may sound somewhat counterproductive, but it surely is easier than stripping and staining a wood deck every year. Reliaboard is their newest product to enter the market. Colors are Cedar and Grey. Twinfinish is the standard and comes in 3 colors, Cedar, Gray and Redwood. Earthwood series is beautiful and includes black streaking within the product to give a look of exotic hardwoods. Colors include Teak, Walnut and Rosewood. The products are listed according to price point, Reliaboard being the least expensive. Feel free to read their user-friendly website (link above). 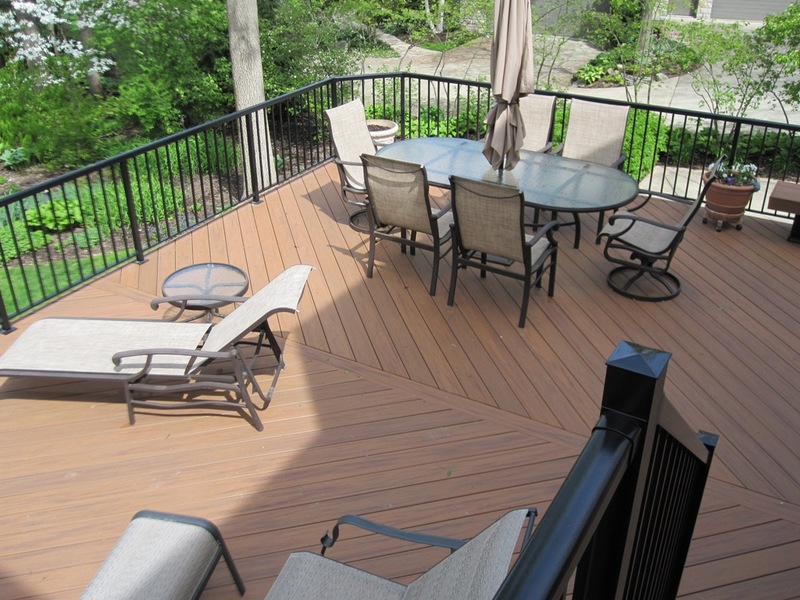 This category of decking entered the market about 5 years ago and has grown in popularity. The main difference is there is no wood mix. They are solid core cellular pvc, or in other words, pure plastic. The advantages of this is they are more stain and scratch resistant than wood/plastic composites. With the lack of wood in the products, they are denser and less porous which means lower maintenance; simply clean periodically with a soap and water solution. Another advantage is they will fade less compared to composites (no wood in them). 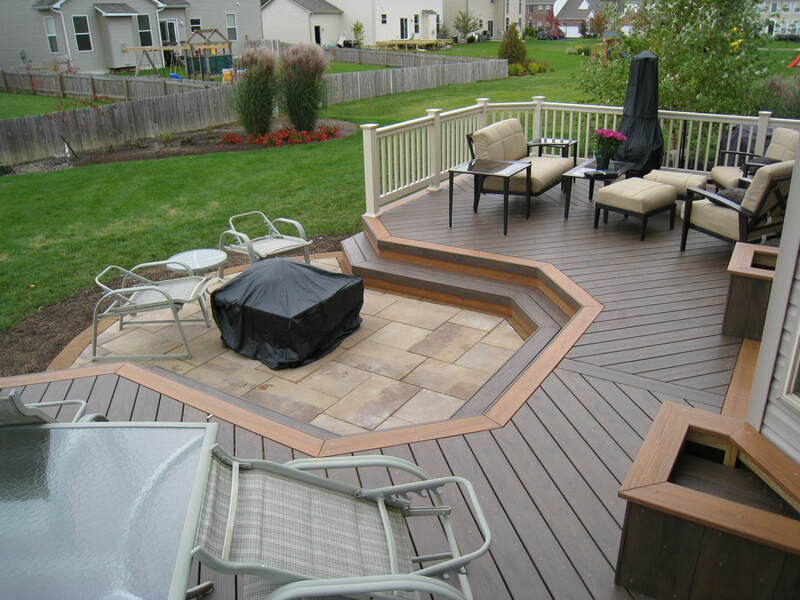 The disadvantages of this type of decking is cost and, to some, appearance. They do have the look and feel of plastic. In addition, color choices are limited but lately we have seen additional darker colors choices including streaking to enhance the appearance. Timbertech XLM (extreme low maintenance) entered the market 3 years ago. They have the most beautiful board, Desert Bronze (streaking included) but it is the most expensive. Other colors available in XLM are Sand Ridge, Mountain Cedar, and River Rock. Azek is another option to consider. The Harvest Collection series offers basic colors, but in my opinion, are a little bland. They introduced two new series, the Terra Collection (2009) and the new Arbor Collection (2010) with darker colors. The least expensive is the Harvest Collection up to the Arbor series. Check out their website for more information. There are many more choices to consider, such as Evergrain, Fiberon and Trex. 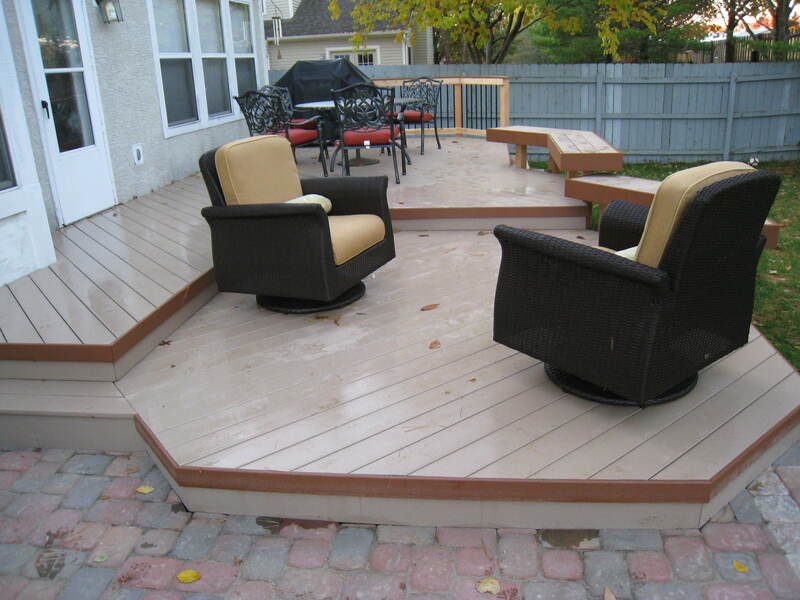 We at Archadeck are the largest conglomerate of design and build services in the Decking and Screen Porch industry. The recommendations of Timbertech and Azek are Archadeck’s definitive favorites, especially Timbertech. Feel free to contact us should you have any questions! Carol and I are excited about contributing to the information age by assisting homeowners with their questions, concerns and product choices pertaining to outdoor living. As winter nears its end (hopefully! ), we are eager to begin another season of designing and constructing decks, screen porches, pergolas, gazebos and patios in the Columbus area. We would like to take a quick moment to reflect on our accomplishments of 2009 and then share upcoming trends. I just returned from Archadeck’s National Workshop and we were honored to receive three awards, the Customer Service Achievement Award, the Archadeck Design Award for one of our projects completed last year and the Performance Profile Award. It’s certainly nice to be a recipient of any award, but we were especially grateful to receive the service award for the 5th consecutive year as this is the staple any business should strive for. Too bad most forget this simple value. During the course of the workshop, I was again reminded how lucky I am to be part of such a professional community of outdoor living entrepreneurs. The opportunity to interact and learn from each other is energizing and further re-enforces Archadeck’s commitment to each and every client. On to trends, we continue to witness the growth of low maintenance decking options and color selections continue to evolve. In addition, low maintenance pergolas and fencing options are available. Hidden fasteners are becoming more prevalent for those who prefer a cleaner appearance. Composite (low maintenance) decking still remains our most requested product on our decks. We highly recommend Timbertech http://timbertech.com and Azek http://azek.com decking as our most trusted products. More on low maintenance products in future posts. 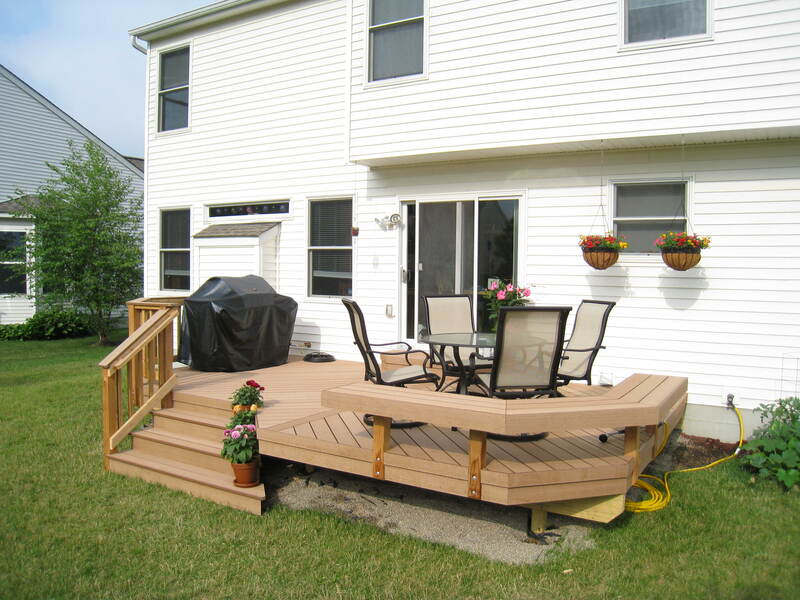 We also have seen an increase in deck and patio combinations. Normally this would consist of a deck design stepping down to a patio area. Depending on materials, one can achieve this look without necessarily spending more money. Instead of one large deck or patio, split the difference. Now you can enjoy two distinct entertaining areas with different appearances! Thanks for visiting and we look forward to further postings. Enjoy!